The Perfect Place to Post Porgs. Re: Porg-hub. 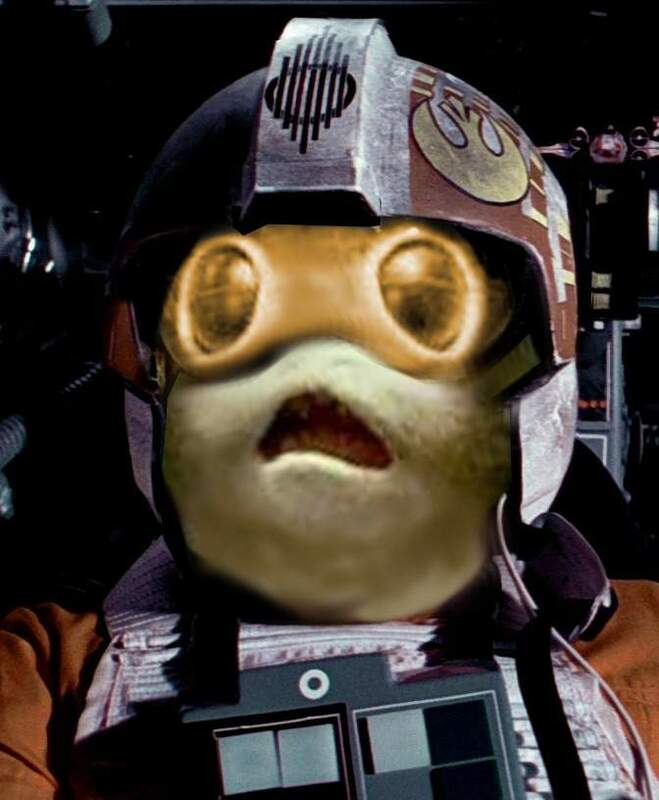 The Porg appreciation thread. The little teeth perfect for eating metal and parts of cute droids! 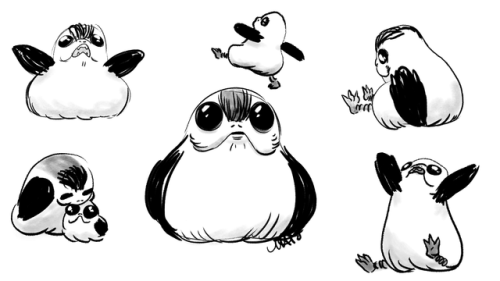 At least one of those Porgs is gonna end up as a shishkaporg, the question is which character is gonna be eating them? I'm going to guess that that was the intention with the thread title. I was wondering when someone would figure it out. You caught me red handed. 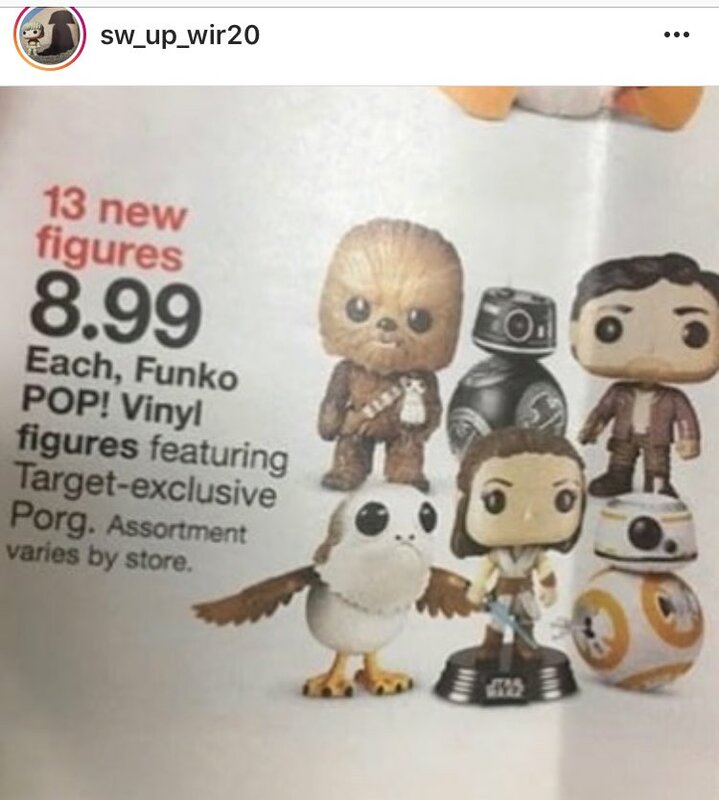 Target Exclusive Porg pop. That's makes three counting the Open Mouth 'Chase' variant and the normal close mouth version. 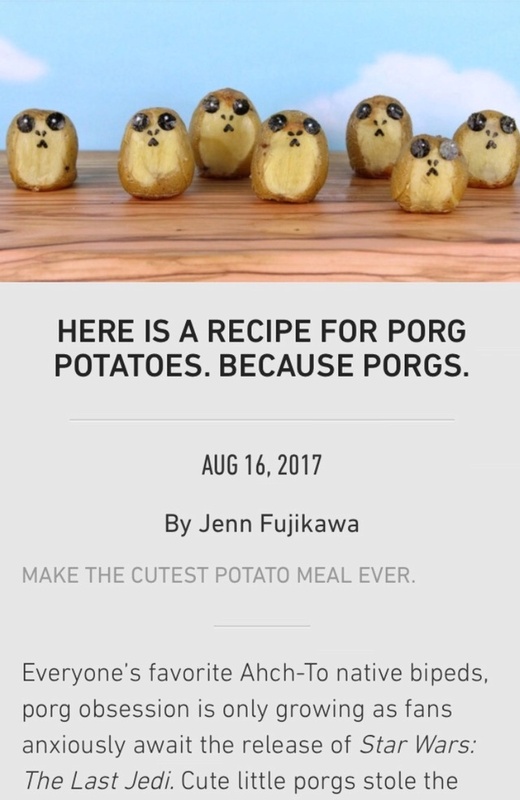 Porg potatoes, anyone? Also, has everyone seen the "interview" with Pablo about them where he reveals their babies are called "porglets?" LOL but doesn't he end up eating one on a spit? Next big -gate is gonna be Porggate when it comes out that Chewie has ate a couple of his new friends. Expect PETA to start picketing at theaters where TLJ is shown! 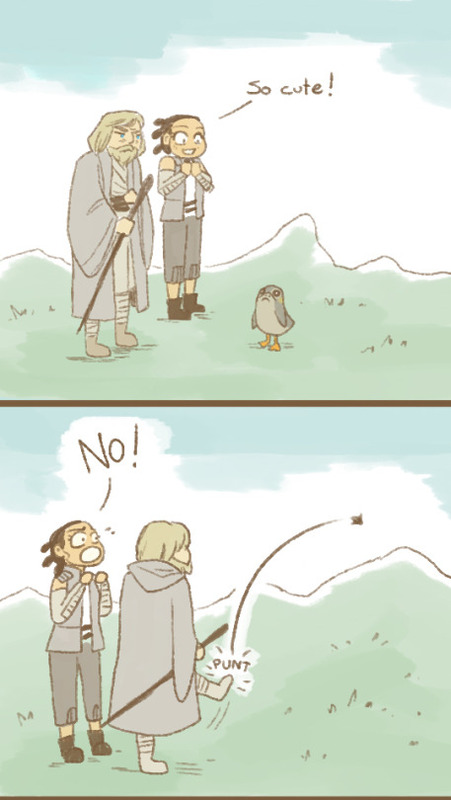 @snufkin wrote: Next big -gate is gonna be Porggate when it comes out that Chewie has ate a couple of his new friends. Expect PETA to start picketing at theaters where TLJ is shown! I wouldn't be surprised at all and yes, I'am being serious. 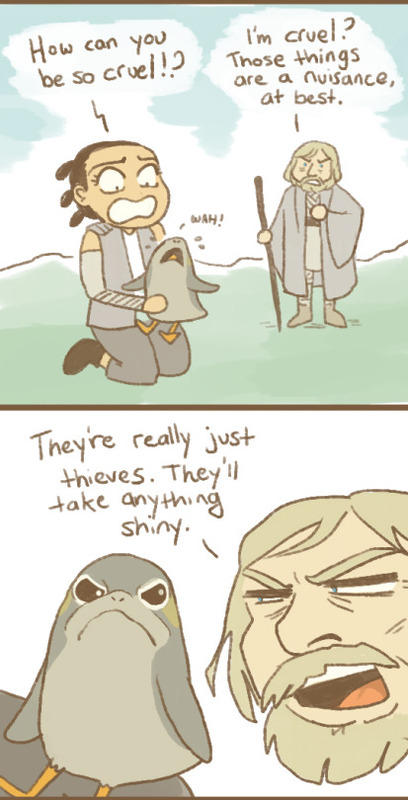 Free the Porgs! I know that Disney has to move a certain amount of merchandise to cover the costs of buying the franchise, but at this rate, people are gonna be sick of Porgs long before they see the movie. Unless they're seriously just a one off appearance in the movie. And yes, PETA will picket, along with the Porg Liberation Front. 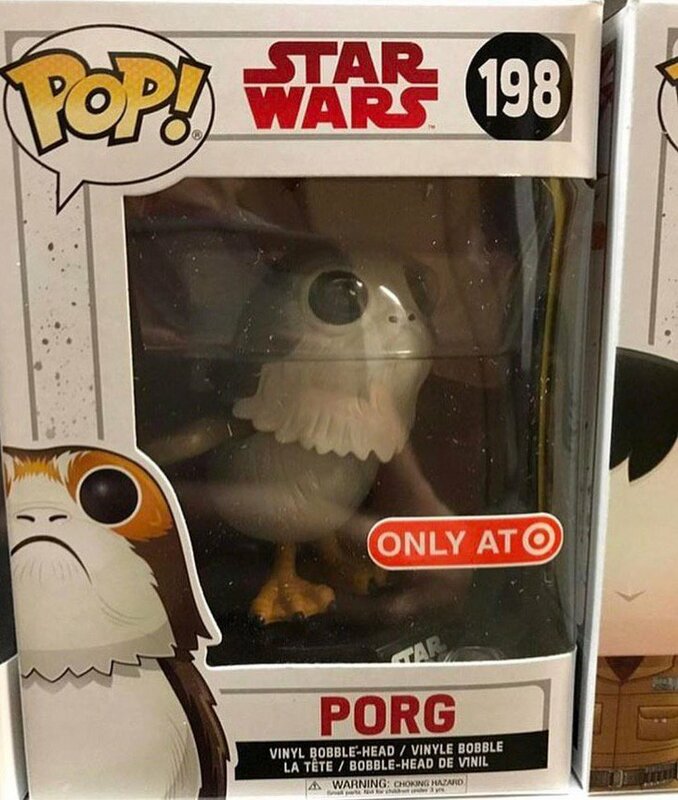 Target exclusive Porg in the flesh. Also, wasn't Chewie eating the Porg theorized to be before the Porgs were designed as cute kids merch? I don't think they're push them like that and the Chewie friendship and then have him eat them. That'd probably horrify kids ( and me ) . 1. Rian and Neal Stephenson: We need to create some sort of puffin-like creature to cover for all of the puffins and effing puffin s*** around here. 3. Rian creates comic-relief sequences with Porgs trying to eat Falcon, annoyed Chewie, Chewie eats porg. 4. LF sees rough cut of film. 5. LF: NO!!!! Porgs are merch gold! Chewie can't eat them! 6. LF: "Leaks" porgs, followed by flood of Porg merch. 7. TLJ is released. Scene of Chewie eating Porg is nowhere to be seen. @Helix @ISeeanIsland - Doesn't EW's photo spread include the photo of Chewie in an X-Wing with a stray feather sticking out of his mouth? I'm just thinking, maybe a little sly dark humor where you suspect he's snacked on at least one of them while being buddies with the rest. I'm sure Disney is looking at them as their potential equivalent to the Minions. Like the next trilogy will be The Porg Identity, The Porg Supremacy, and The Porg Ultimatum. We'll know for sure they've crossed a certain pop culture threshhold when I can buy a Porg Piñata at La Superior Mercado. They're such little aholes. I love them. 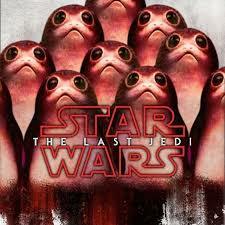 I can never get tired of this one- Jek Porgkins. Rejoice! Our great Gods come to us in Flocked Form! So we may better appreciate their greatness. Exclusive to the realm of 'Hot Topic'. Let us partake in Communion. Ai! Ai! What a great thread to be in if you love these little guys!